Since the weather has been surprisingly beautiful the past few weeks, updating your home for sunnier days is essential. Here are a few tips and tricks to welcome the warm weather check out this article by House Beautiful for more. Having a pillow “wardrobe” for all the seasons can bring a little life to your living room as well as some change with the changing seasons. Also, bringing in breezy fabrics on your pillows or curtains such as cotton or linen can help lighten things up. Fun vases and plants are another way to ring in spring. Foliage is an easy and inexpensive way to add freshness to a room without any fuss or embrace the floral fabrics. Color is another essential especially when it comes to spring time. Interesting objects and colorful books can add a pop of color to any coffee or side table and are fun way to brighten up any space. When you think of spring and warmer weather, most of the time you think of light, soft colors. Let the natural sunlight in and let your soft colors really shine with the sunlight to bring natural light indoors. 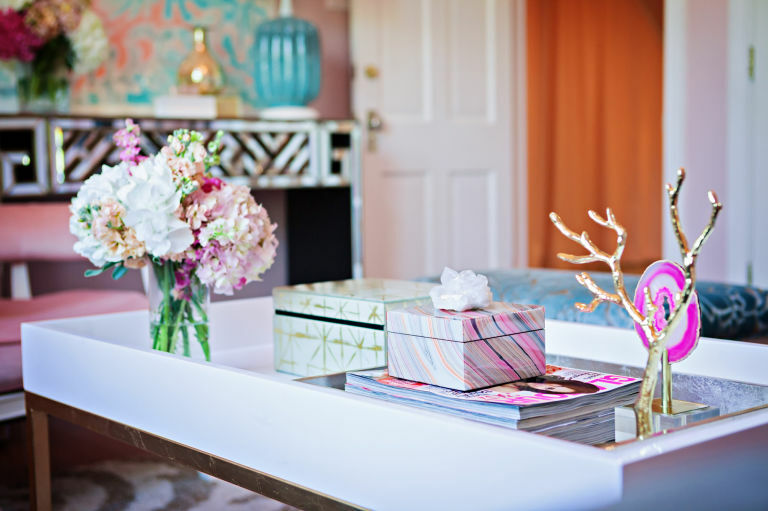 Maybe buy a new art piece, paint a wall or three with a bright, fun color or simply update your accessories to bring any space a fresh new, spring time look.